To update and protect your house nothing has more effect than double glazing. There are also the added benefits of lowering your energy bills by reducing heat loss and trapping the warmth of the sun. In addition to this is reduced noise, added security and the increase in value of your house so that double glazing becomes a great investment. 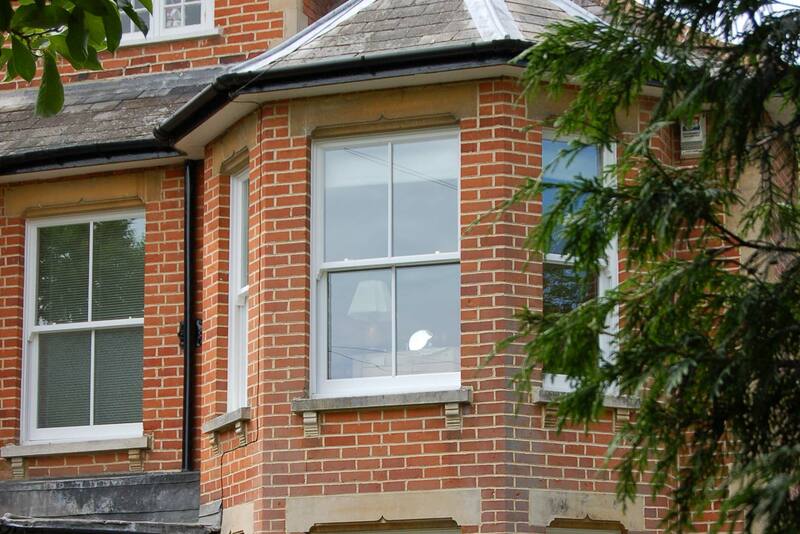 Double glazing is a speciality of Camberley Glass and Windows. We are a trusted local company which has been supplying glass and glazing products to Bisley and the surrounding area for almost 50 years, and much of our work comes from personal recommendation. Customer care is at the heart of our business, which is reflected in our testimonials and high rating on Checkatrade. We are also on the Buckinghamshire and Surrey Trading Standards Approved list of traders. Our double glazing frames come in different materials, textures and finishes in order to help you find something to suit your needs whatever the style of your house. If you only need replacement glass rather than the whole frame we can do that too. All our windows come with a fully insured guarantee and are manufactured to exceed British Trading Standards. The team at Camberley Glass and Windows is fully qualified in all aspects of current requirements and regulations and are FENSA registered, so you can be sure that you are getting the best advice and most professional installation. If you are considering double glazing why not visit our showrooms at our offices in Camberley, Surrey, where our advisers can help you with any questions you may have. We do not indulge in pressure selling, gimmicks or false pricing and are committed to giving you the best service possible.